Readers should note that most of the contents of Ms. Frias’ article about the parking situation were plucked from a form letter sent to members two months ago and simply ignores the many criticisms made of her parking extravaganza. She asserts my articles contain “many inaccuracies”—but she cites none, hardly a position that invites credibility. Perhaps my “inaccuracies” are buried in the archives of Y management along with the “solicitation means harassment rule” that she failed to ferret out despite umpteen requests. According to Ms. Frias the pay/gate system was needed because of “misuse of the lot” by non-members. And her solution? She imposed permanent annual parking fees on the members—the people not responsible for the problem, or rather pseudo problem, given that Y Management never presented any credible data that non-members really were displacing members. Even if we assume a gated system was necessary, her permanent parking fees defy any sense of fairness. Since she cites misuse of the lot as the sole reason for gates, why couldn’t the capital budget cover their cost? Or even if we assume a need for members to pay, dividing $200,000 by 2,000, we see that each member would have to pay no more than $100 total to defray the costs. Under her plan, over a decade, members will pay a minimum of $1,800. Next, if misuse by non-members is the real motive for the gates, the Mad Hatter must be in charge of Y Management. Why? Because the Uptown YWCA long had an effective gate system that blocked non-member parking. Using funds that might have gone to people in need, i.e., something related to the mission of the YWCA, the Mad Hatter dismantled the old gates and replaced them with … new gates that do the same thing! Except now, the parkers won’t need a membership card, only a credit card, a turn of events that will allow non-members to park in the lot. So the solution to keeping non-members out of the lot is to let them in. The Mad Hatter did find a silver lining in the parking fees: “For the cost of these fees, members will benefit from an easier, more convenient parking experience.” Let’s see, when drivers exit the lot, they can get in line, wait for the drivers in front of them to fumble around for their credit cards or whatever, and eventually leave—assuming that no glitches arise. Surely this is easier and more convenient than driving out of a free lot. War is peace, and hard is easy. 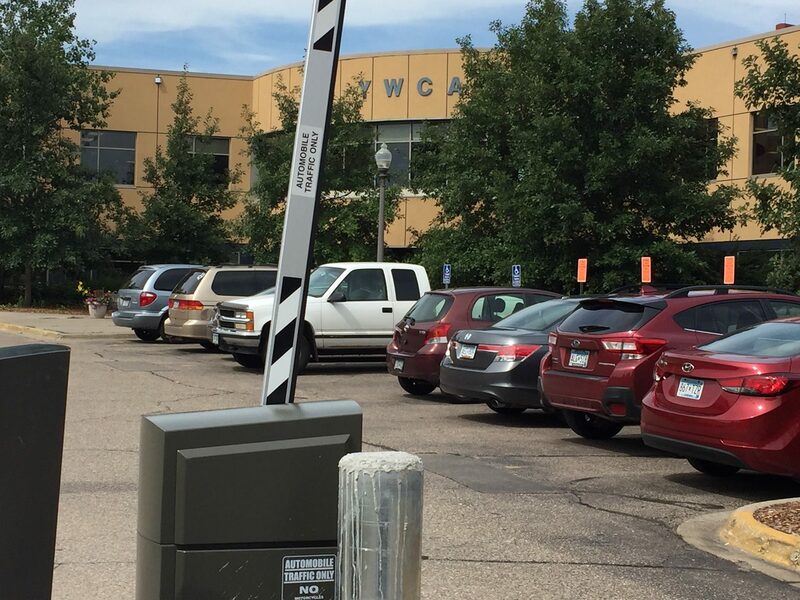 “YWCA Minneapolis offers competitive monthly membership fees that remain lower than other full service fitness centers in the area, even with added parking fees.” This is empty posturing. Her diction suggests that the Y is the lowest of all full service fitness centers. I’m sorry, but the Blaisdell YMCA contends that its rates are competitive—without a parking fee. Naturally, all this good news culminates in: “We have gotten many responses from members who welcome the change and see the benefits that having an automatic parking gate system will bring.” And how many is that? She doesn’t tell us. If this is so, Y Management should hold a poll on the system, and we’ll find out exactly how many. Nothing could be more untruthful than her assertion that, “We have continually offered to try to find a resolution with Ms. Doris Overby and Mr. Richard Taylor and they have been unwilling to meet with our management.” What Ms. Frias failed to add was that we have been unwilling to meet with them exclusively on their terms. We have repeatedly and in great detail suggested terms of engagement, which she rejected. What she meant to say is that only she and her minions have the right to set the terms of engagement, and the members have the right to obey. In fact, members have no more rights than Ms. Frias confers on them at any particular time—even though they help pay her salary. The behavior of Y management led us to be cautious. 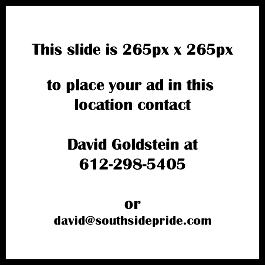 On Oct. 18, Midtown General Manager Aguilar sent Doris and me an email reading: “Please note that declining this meeting request or failing to respond back by Oct. 24 will result in the suspension of your memberships until such a discussion can be had.” Somehow, I didn’t feel welcomed. I ask the reader if he or she would feel comfortable negotiating under an aura of intimidation. And Mr. Aguilar must have missed the in-service on ethics.